Gomati: Originated from Longtharai and Atharamura range, flow westward via Amarpur, Sonamura to Bangladesh. Manu: 167 km, originated from Sakhan range, flows via Kailasahar to Bangladesh. 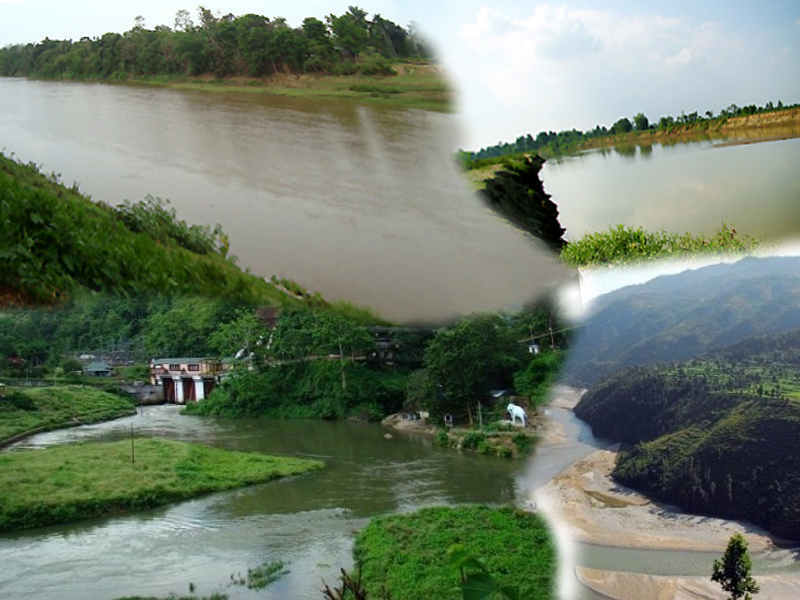 Deo: 98 km, originated from Jampui Hill, Northerly flows through Kanchanpur valley, meets Manu river. Khowai: 70 km, originated from Longtharai range, North-west flow and then northerly via khowai town to Bangladesh. Haora: 53 km, originated from Baramura range, Westward flow via Agartala to Bangladesh. Muhuri: 64 km, originated from Deotamura range, Westward flow via Belonia to Bangladesh. Juri: originated from Jampui Hill, Northerly flow through Dharmanagar valley. Fenni: originated at the border by confluence of three streams.